This Superior Shed measures 2.4 x 4.2m and boasts an apex roof that the customer chose to be covered with our heavy-duty, heat-bonded felt. There is also guttering along the fascia boards for further protection against the elements and wetter weather. The exterior is clad with rustic weatherboard cladding painted in the Farrow & Ball shade of Green Smoke, which was selected by the customer from our vast range of exterior paint shades, including a colour-matching service. 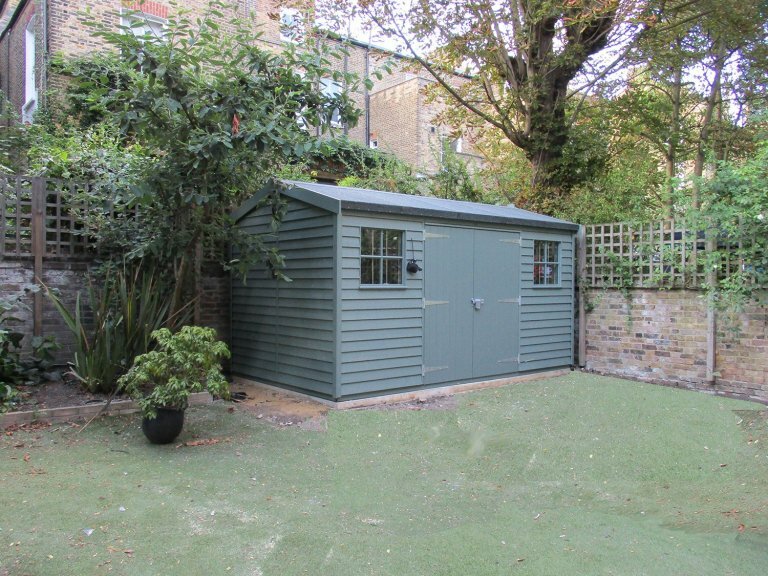 Internally, the shed is fully lined and insulated with oak-faced ply and heavy-duty flooring which is ideal for those planning to store heavy equipment or expecting frequent footfall. The shed also benefits from double glazed Georgian windows that will also keep some heat in when it comes to the cooler months. Our customer added a security pack as the final touch to the building, which consists of a heavy-duty sliding bolt with a fully encased, seven lever lock, stainless-steel window bars manufactured into the frame and ‘un-screw-able’ screws in the door hinges. 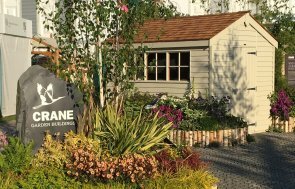 In order to take a closer look at our range of garden sheds, we recommend you do so at one of our UK show sites, which can be located here. Alternatively, you can get in touch with us on 01760 444229.